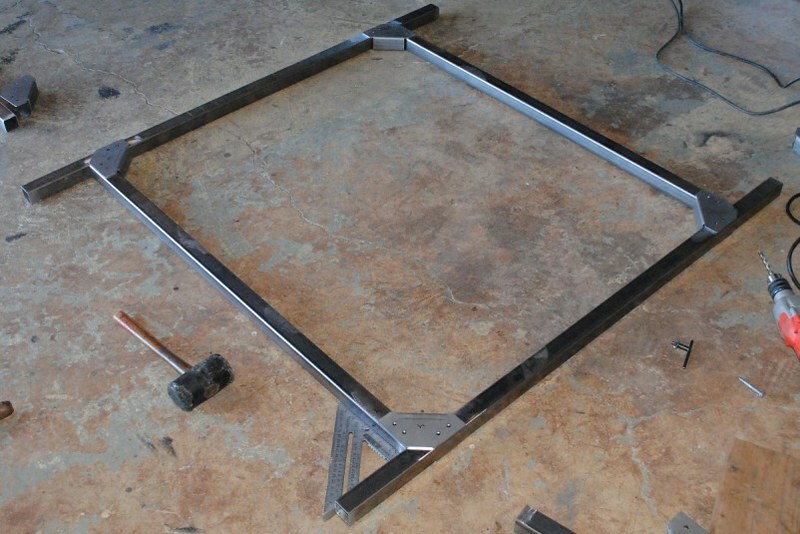 How-to build sturdy DIY Trailer Racks and Cross Bars? 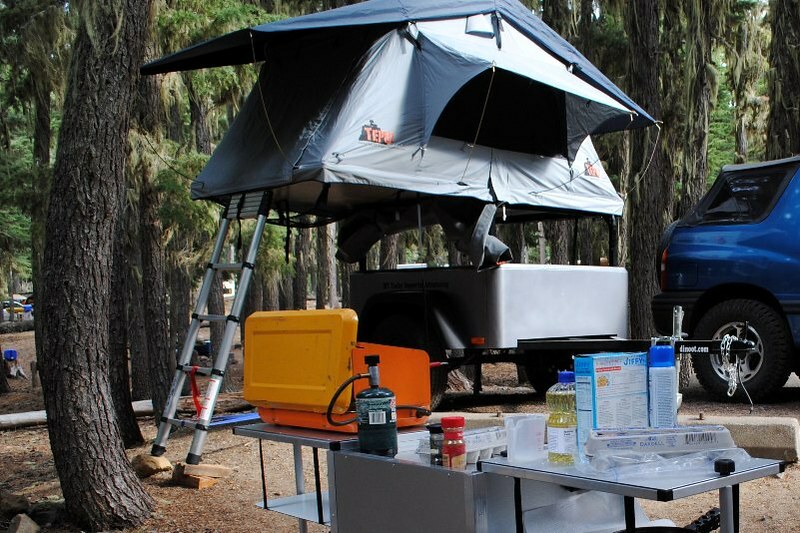 It is as easy as; Cut, Drill and Assemble with the Compact Camping Concepts DIY No Weld Trailer Rack System. 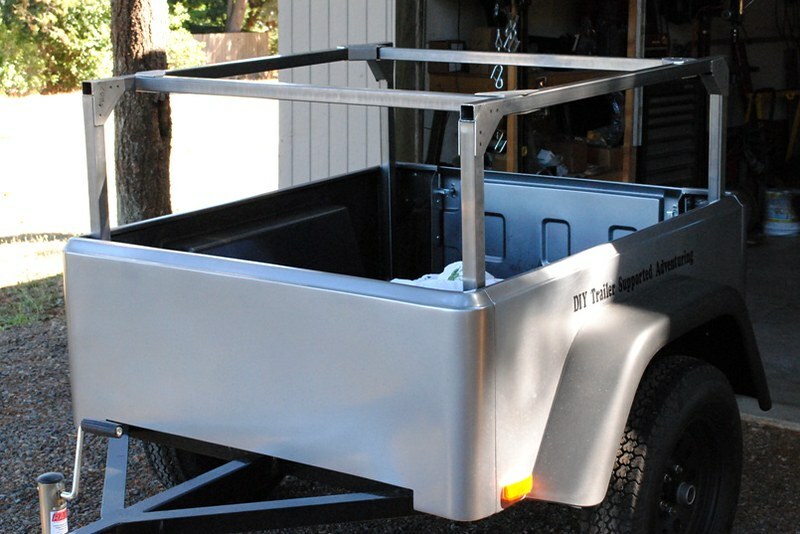 Our DIY Trailer Rack and Load Bar System makes it easy for DIYers to convert their trailer into a multi-tier camping or multi-sport machine with a sturdy trailer rack tailored to their needs. 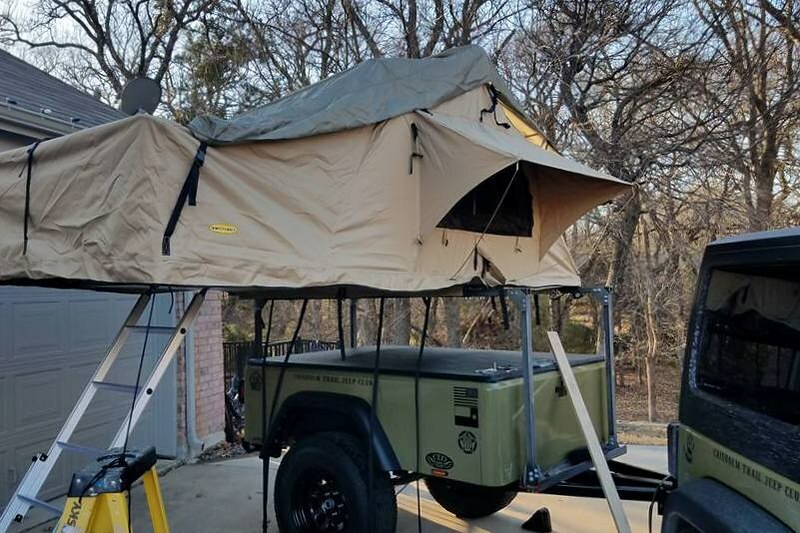 The versatile system makes it easy to setup trailer racks for hauling Roof Top Tents, Kayaks, Canoes, Bikes, Paddle Boards, Hunting Gear, Ladders, Construction Materials, or you name it! 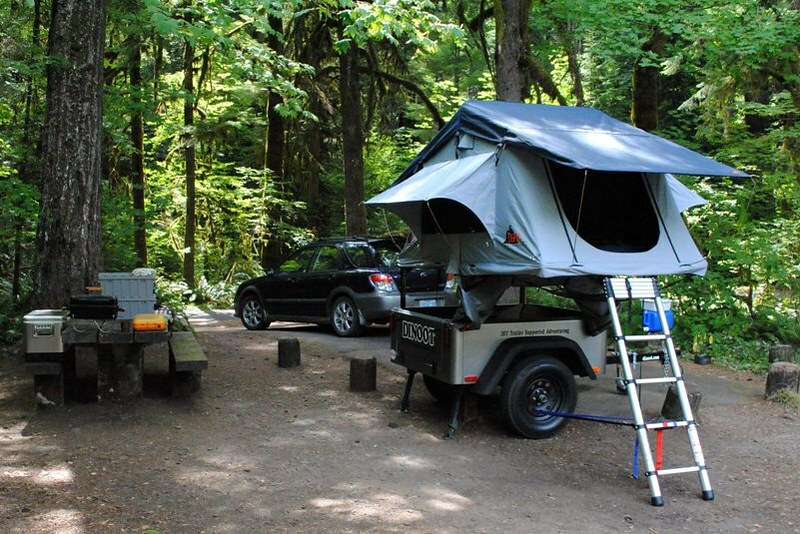 The Rack System is compatible with utility and many style of trailers and the cross bars work with most of the standard Thule and Yakima accessories. 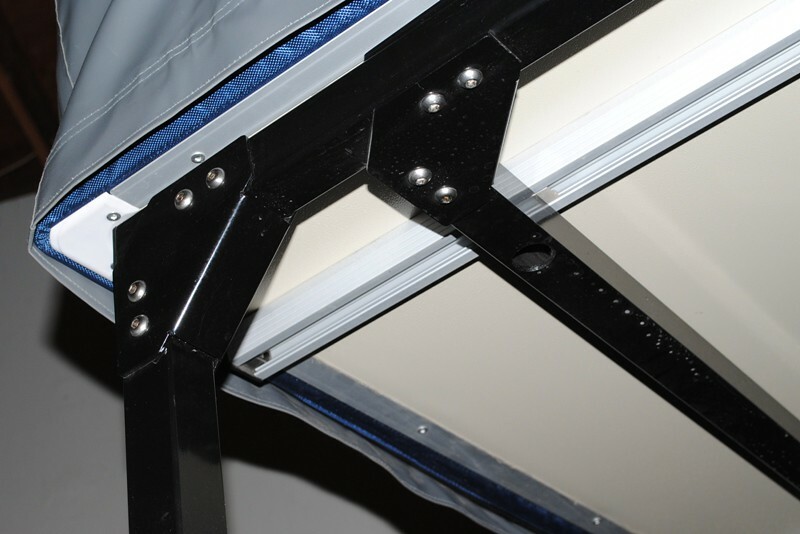 We offer bracket sets through complete kits. 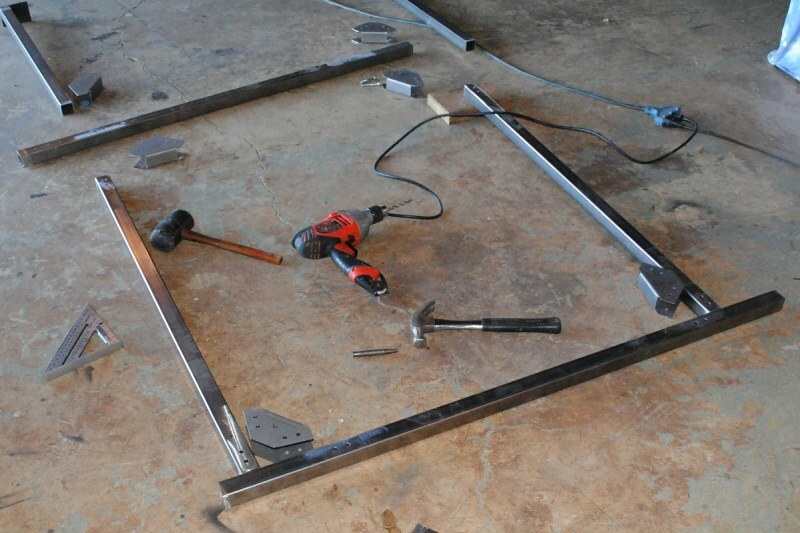 With a bracket set, you then purchase your tubing locally, cut pieces to length, drill holes, paint and bolt together. We can also provide tubing cut to length or kits ready to paint and bolt together. 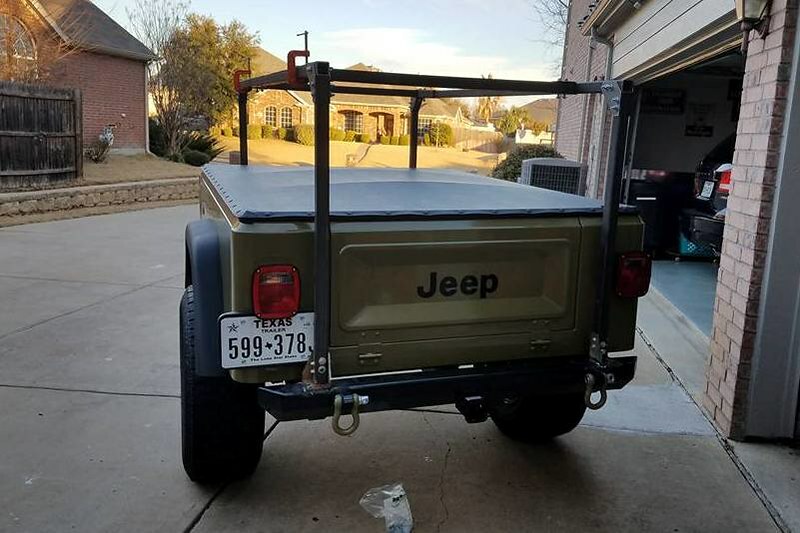 This thread is a collection of No Weld Trailer Racks customers and myself have built to help you visualize the best rack approach for your trailer. Here is the first rack I did for a demo J-Series Dinoot trailer of mine. Depending on your needs, can setup your trailer rack inside or outside the tub. Also setup many types of trailers with racks; Dinoot, M416, Utility, Harbor Freight frame based, Teardrop, let me know your application ideas. There are three components to the rack setup; the Base Connectors, the Square Tubing and the Corner Connector Brackets. The base connections on this one are a prototype version. This rack is about 16" above the tub, 53" long and 47" wide. 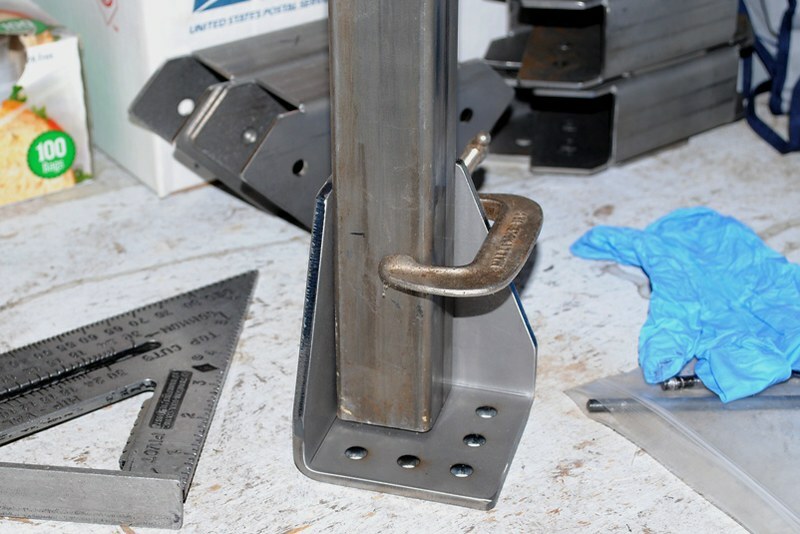 Here is a high-level look at making a Corner Bracket Rack. Starting with the top section, I correctly positioned the parts and make sure everything is square. After that I marked the holes for the corner brackets. Then take it apart and drilled the holes. After drilling, reassembled each corner to make sure bolts drop in. Sometimes a few need to be reamed out a little with the drill to get everything lined up. Then the process was repeated on both sides for the uprights. Next is painting everything. Very happy with how the prototype no welding required trailer rack has gone together. Once the two hoops and connector bars are bolted together, you get a nice solid structure. 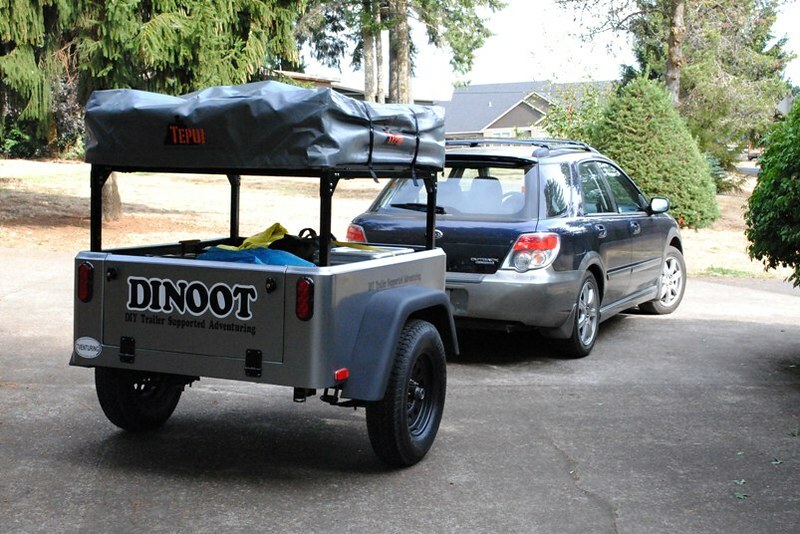 As mentioned earlier the prototype trailer rack in my demo Dinoot is configured as an inside the tub Roof Top Tent rack. This trailer rack approach will make it easy to create racks tailored to many different applications. Just another day at the office. Out field testing the prototype No Weld Trailer Racks yesterday. First day of road & trail testing had no surprises. 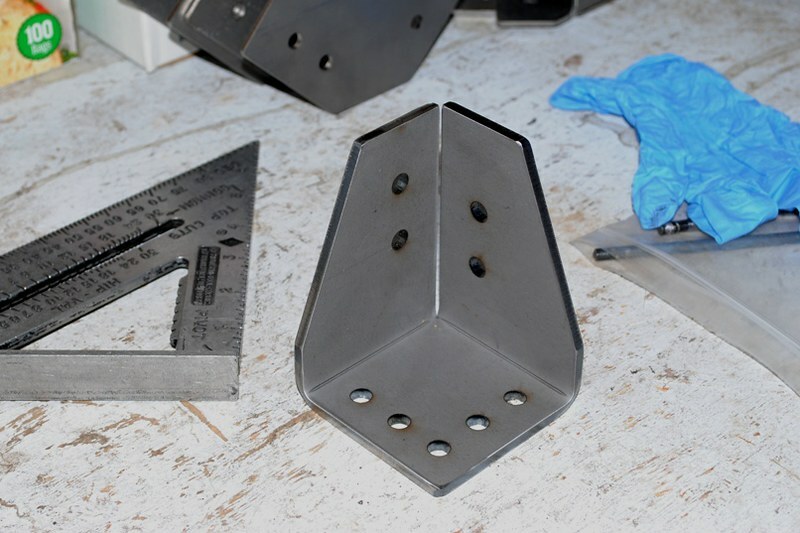 Testing of the prototype No Weld rack has continued. 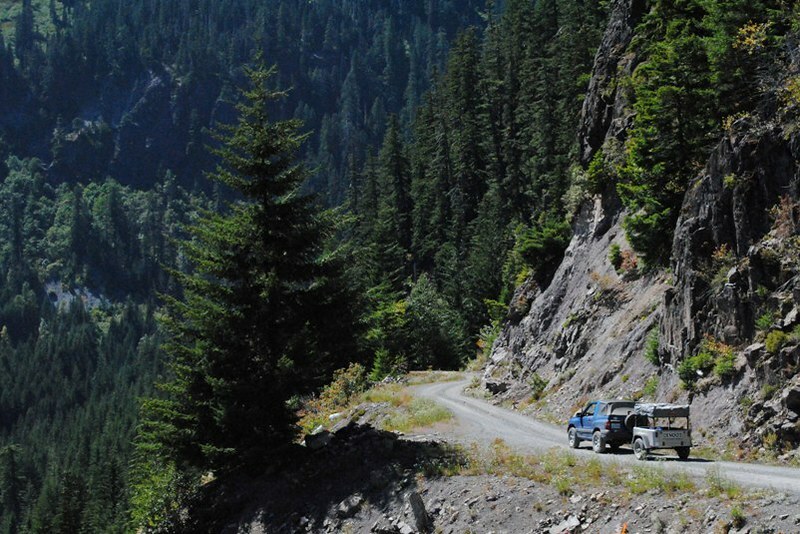 Logging lots of miles with the trailer in tow and roof top tent camper on the rack. Testing has gone very smoothly. Ready to do a few pre-production setups. 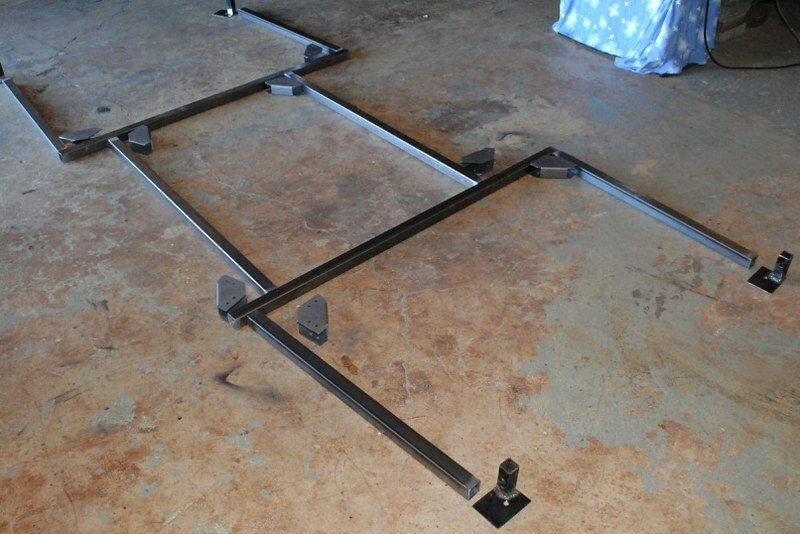 Looking for a couple early adopters, specifically ones able make their own rack using a bracket set. Also some local folks with different configuration / rack type needs where we can work out rack details on their trailer. If you would like to be considered, drop me a message scott@cttct.com. Provide a brief description of your planned rack and include a picture of your trailer. For Harbor Freight / other bolt-together style frames, would be easy to bolt the uprights directly to the side of the frame. I would put them within 6" of a cross member and use a backing plate for strength. The cross bars could stop at the upright or extended around 12" past. This type of setup would be great for hauling kayaks, paddle boards, bikes, roof top tents, ??? 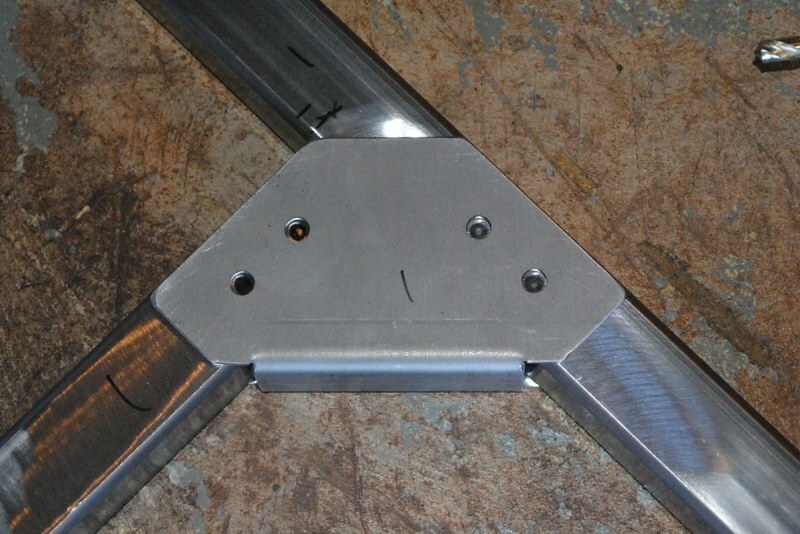 For attaching the uprights to the frame, could used a 1" hole saw on one side so the attachment bolts would be recessed. Here is what the production Base Plates look like. Customers are talking about our new No Weld Trailer Rack System. Kyle initially made his No Weld Rack 16" above the top of his tub. After Tent Topping it, he ran into a snag. Now his trailer was too tall for fitting in the garage. The fix was quick and easy, took around 15 minutes to trim 3" off rack.